Cons: D.O.A. would not work ! Other Thoughts: Would not recommend ! We are sorry to hear about your online shopping experience. As you have not received the product as expected, we recommend you to contact the place of purchase and immediately to get it replaced. We would appreciate the opportunity to gather more information from you to ensure all our customers receive the product they are expecting. We would like the chance to work with you directly. You can contact us via email or phone from below mentioned contact details. Pros: Installed into an HP 4540S, removed mounting bracket from old drive, installed the bracket on the new one, formatted and partitioned, and re-loaded Window 7 Home Premium with no issues. Cons: None, product worked as expected. Other Thoughts: Good fit to laptop, installed as expected, running just fine. Cons: None ... I've been working with and repairing computers for over 30yrs and can honestly say that this company is one of the best I've dealt with over the years. Other Thoughts: E.O.L. Tech Inc is a company willing to provide the best in customer service and one that I will not only purchase from again but also will recommend to others. Pros: I posted a review previously about this item, which gave them a poor rating. The item was extremely late arriving to me and they blamed it on the post office, don't really want to spell it all out again, but whatever right. Well, I put the item away, since the item arrived late I purchased from a more reliable company and received the new hard drive the next day. Once again whatever right. Well I had a customer come in and I cloned his hard drive and replaced his hard drive with this one and one week to the day later the customer came in and the hard drive stopped functioning. Cons: Now I can finalize my complete review with this company and state not reliable shipping and the hard drive was junk. Would not recommend purchasing from them. 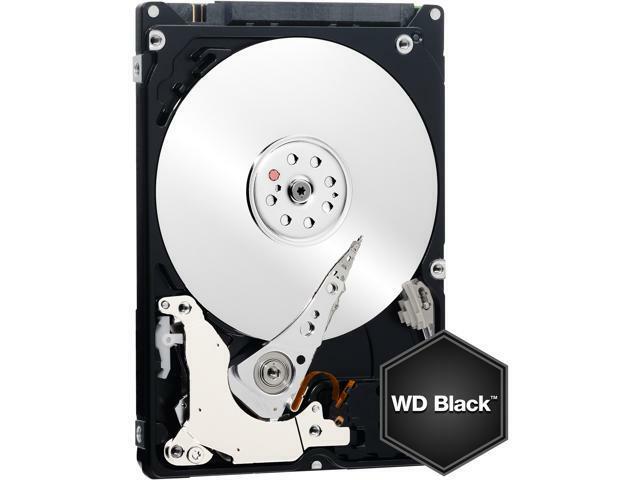 It is unfortunate hearing about your experience receiving the WD Black drive that was not working for you. Thanks for the time providing feedback; it's always appreciated receiving input from our customers. For your convenience we placed links to useful articles below providing more information about testing a WD drive for problems. All our products must pass our stringent quality standards before leaving our factory to be free from defects in materials and craftsmanship. We stand behind our products throughout the device's factory warranty period; and would be happy to help determine the root cause of this abnormal behavior. Please contact us and mention the support case below as a reference to this review. Pros: Got this to replaced a dying HDD in a laptop. It is an older laptop and easy to take the HDD out so it was a quick clone and swap. Still working great after 2+ years, plus it's a 7200 RPM drive that replaced a 5400 one. Felt like it went from a Bug to a Porsche. Cons: it's not an SSD but can't take an egg off for that.